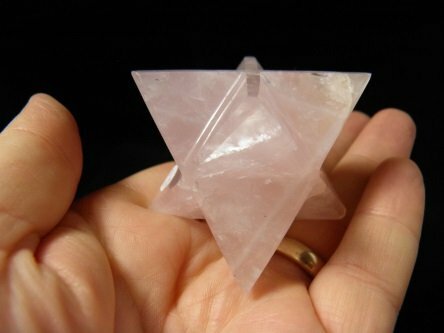 View basket “Stellated Clear Quartz Dodecahedron Merkaba (Q)” has been added to your basket. Merkaba, is the divine light vehicle allegedly used by ascended masters to connect with and reach those in tune with the higher realms. “Mer” means Light. “Ka” means Spirit. “Ba” means Body. Mer-Ka-Ba means the spirit/body surrounded by counter-rotating fields of light, (wheels within wheels), spirals of energy as in DNA, which transports spirit/body from one dimension to another.